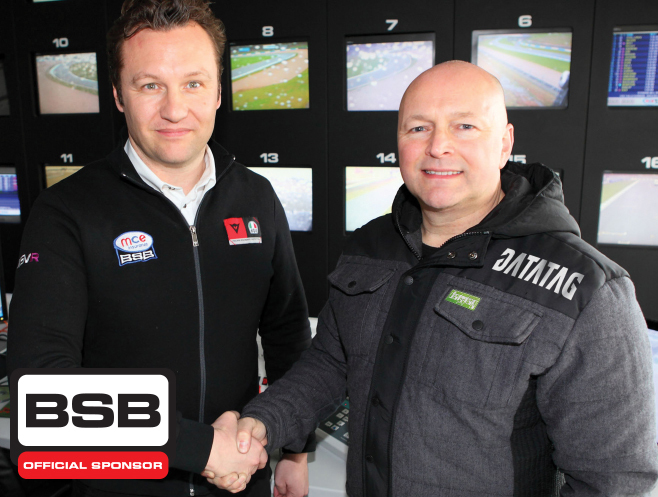 Security marking and registration leaders Datatag, have agreed an extension of their official MCE British Superbike Championship partnership with series commercial right-holder, MotorSport Vision. Datatag, the market leader in motorcycle security marking and registration systems, is using the association with Britain's premier motorsport series to highlight the issue of theft of vehicles and machinery in the UK, particularly amongst Supersport machines and to promote its unique range of innovative and highly effective security marking systems. Research undertaken by the Motorcycle Industry showed that a bike unprotected by systems such as Datatag, were up to five times more likely to be stolen* and six times less likely to be recovered. The all new Datatag motorcycle security identification system now includes "stealth" UV etching and even a unique forensic DNA solution and this year will be Datatag's 21st anniversary since its launch in 1992. Through its policy of continual development and innovation combined with the use of "Best of Breed" identification technologies, it has been awarded the important role of being the power behind the Official MASTER Scheme for Motorcycles and Scooters and the Official CESAR Scheme for Agriculture and Construction machinery as well as already being the provider of the Official registration scheme for UK powered watercraft, often referred to as 'Jet Ski's'. This year's partnership will see Datatag, renowned for their EXTREME ID, granted the naming rights of the three stage knockout qualifying session to decide the starting grid for the first MCE BSB race at each round. The Datatag Extreme Qualifying will see all MCE BSB riders take to the track for their 20 minutes - Q1 session. The fastest of these 18 riders make it through to the 12 minutes - Q2 session and then at the conclusion of that, the top 10 riders go for pole position in the remaining 8 minutes - Q3 session. The partnership will take on a more practical role in 2013 to enhance the MCE BSB technical control and also to provide a high level of security protection for all competing teams and their race bikes. Utilising the unique identification technology found within the Official MASTER Security Scheme which is supported by many leading motorcycle manufacturers including; Honda, Suzuki, Yamaha, Kawasaki, Triumph, BMW, Ducati, Zing, Vectrix and Zero Motorcycles as well as being promoted by the Motor Cycle Industry Association (MCIA) and supported by the UK Police and the Home Office. 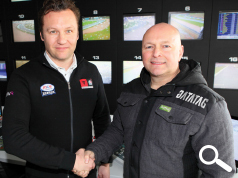 Datatag's Managing Director, Kevin Howells said: "We are extremely proud to continue our sponsorship of the 2013 MCE British Superbike Championship. Last season played an important role helping to raise awareness of the unwanted problem of motorcycle and scooter theft and with the important development of the Industry supported Official MASTER Security Scheme, it was an easy decision to continue with our support of possibly the most exciting race series. We look forward to this year's Championship and especially, the Datatag Extreme Qualifying."